We’re eating a lot more veggies nowadays but don’t want to miss out on texture, flavour or taste. Unfortunately, it is too easy to get stuck in a rut with veggies, which ultimately leads to boredom. 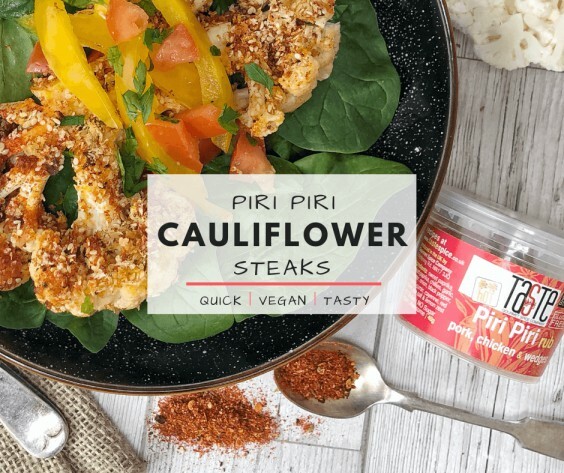 This is where Piri-Piri Cauliflower Steaks come in! It’s a quick, versatile meal that can work either as a light lunch or a full meal, depending on what you serve with it. In fact, these are so popular now that many supermarkets are now selling two ‘steaks’ of cauliflower for about £3, but our version will cost less than half that & taste much better! As with most of our recipes, the choice of spice blend is flexible. 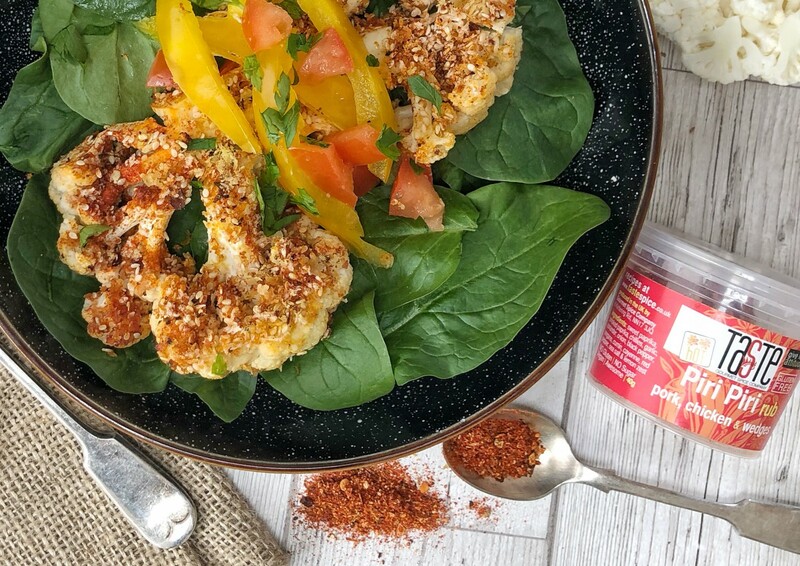 Piri Piri has a gorgeous, smoky kick, but feel free to swap it for your favourite.